Welcome to Generations Dental Care! Our friendly Concord dentists and dental team offer a range of preventive, restorative, and cosmetic dentistry services in our state-of-the-art dental practice. We welcome patients from Pembroke, Chichester, Loudon, and all surrounding communities to visit us for all of their dental care needs. If you have questions about our dentistry office, team, services, or insurance and financing policies, please give our Concord dentist and team a call. We’ll do our utmost to answer your questions over the phone, and we would be happy to schedule a consultation or treatment appointment. Christopher Binder holds his doctor of dental medicine from the Tufts University School of Dental Medicine. He is an active, participating member in many professional organizations, and he has completed numerous continuing education courses including advanced training from the prestigious Las Vegas Institute of Advanced Dental Studies. Christina McCann started her dental career as a hygienist, and she earned her doctor of dental medicine from the New England College of Dental Medicine. She has advanced training in many cosmetic and aesthetic dentistry techniques and is an Invisalign preferred provider. Victor Stetsyuk earned his doctor of dental medicine as well as advanced training in the prosthodontics and operative dentistry honors program through the Tufts University School of Dental Medicine. Throughout his dental career, Dr. Stetsyuk has volunteered his time and talents to improve community oral health, and he loves working with patients to achieve their smile goals. Chritopher Moriarty holds a doctor of dental medicine from the Tufts University School of Dental Medicine. Dedicated to providing care that meets or exceeds the highest standards in the dental field, Dr. Moriarty participates with many professional organizations, and has completed training in Invisalign orthodontics and laser dentistry. Jonell Hopeck earned her doctor of dental surgery from the University of North Carolina at Chapel Hill School of Dentistry. Dr. Hopeck went on to complete training in the specialty field of periodontology through Tufts University in Boston. She has reached prestigious diplomate status with the American Board of Periodontology, and she offers dental implant placement, gum disease treatments, tissue grafts, and other advanced services. Ashley Leavell earned her doctor of dental medicine through the Tufts University School of Dental Medicine. Following her doctoral studies, Dr. Leavell went on to complete specialty training in endodontics through the University of Florida College of Dentistry where she served as lead resident and completed her master of science focusing on endodontic irrigation protocols. She performs advanced root canal treatments, apicoectomy, pulpotomy, and other services that involve treatment for the insides of teeth. Our history is right there in our name. 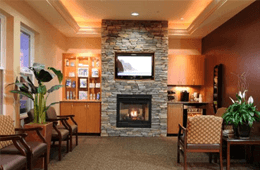 Generations Dental Care has been a staple in the Concord community for more than 100 years. In the last century, we’ve had the pleasure of providing exceptional dental care to generations of Concord families. 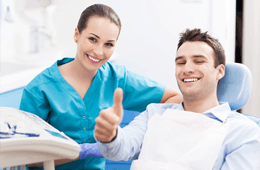 Patients visit us year after year because we make dental care comfortable and stress free for everyone we treat. Schedule an appointment to learn more about us. We provide the Concord community with a comprehensive array of preventive, restorative, and cosmetic dentistry services all under one roof. From basic preventive dental checkups to the most advanced dental implant supported tooth replacement plan, our team of dentistry experts has you covered. We want to make sure your necessary dental care is affordable. That’s why we take the time to answer patient questions, outline dental insurance coverage, and discuss financing options when necessary. We are happy to process and file dental insurance claims for most PPO plans, and we are in-network providers for patients with Delta Dental plans. Don’t have traditional dental insurance? We have you covered. Ask about our Quality Dental Plan. This in-office dental savings plan provides coverage and discounts for our patients’ necessary dental care. We also work with CareCredit and Lending Club to offer low and no interest payment plans. Conveniently located in the heart of Concord, our state-of-the-art dentistry practice is just a short drive away for patients from surrounding communities, including Pembroke, Chichester, and Loudon. Residents from all of these communities can reach our office in under ten minutes. For our patients from the Pembroke community, you can take 4th Range Road north to NH-106. Continue north for under two miles, and we’ll be on your left on Triangle Park Drive, directly across from Target. Chichester residents can take NH-9 southwest straight to our front door. Take a right just past the Target onto Triangle Park Drive. Loudon residents can follow NH-106 south for about 5 miles. You’ll see our office on your right past Target on Triangle Park Drive.